I was led to Amanda Guggenheimer. She’s a channel – and an amazing one. She lives in amongst beautiful forests in the Dandenong Ranges at the back of Melbourne, Victoria – and a friend, Peter Warren, led me to her. This is now how my life works. And I don’t resist anymore. I’ve learned to relinquish control. To yield, as Amanda would say. After a turbulent adolescence, Amanda at age seventeen retreated into the wilderness to train under the guidance of a very experienced channel. At the age of twenty-two, after completing her apprenticeship, she began channeling professionally. She’s written several books, two of which I’ve read – The Light-Worker’s Companion, and The Channel’s Companion. The books have been a revelation for me. They’ve explained so much. They’re accessible, written simply, but it’s very apparent that they’ve been channelled because they’re technical. They’re like handbooks. For me, right now at this point in my life, I’ve found them to be incredibly useful. They’ve helped me join so many dots. And yet I know there’s still so much to learn. I’m still very much on trainer wheels. 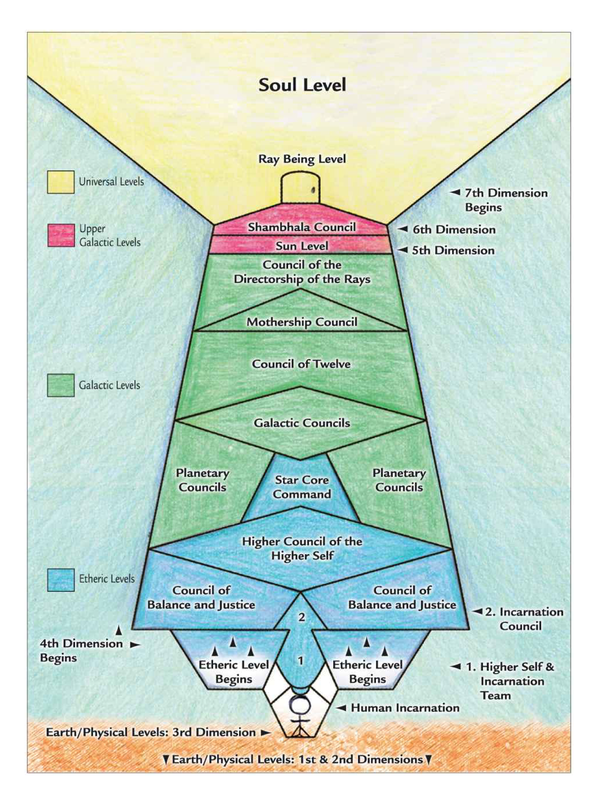 Here is a diagram, from The Light-Workers Companion, of a hierarchy. Notice the little stick figure right down the bottom of the diagram? See how inconsequential we are in the whole scheme of things? During the course of my making my film on intuition, I’ve had the privilege to meet some extraordinary mystics and channels. Caroline Myss springs to mind – and Dr. Norm Shealy, and Michael Tamura and James Van Praagh. And of course Lee Carroll, who channels for Kryon. These are remarkable and gifted people. I regard Amanda as their peer. She is a shy reclusive young lady. She lives with her family in a beautiful house in the Dandenongs, and last week Jennifer and I went and visited them. They live amongst the trees, they’re vegetarians, and whilst not being rigid about it, they try to eat only organic produce, a lot of which they grow themselves. They are very sensitive to energy and eschew wifi and mobiles, where possible. It’s a life of wonderful simplicity, and yet they are very much connected to the real world. Amanda has a thriving business doing channelling work for clients all around the world. She’s normally booked up two months ahead. She’s a strong advocate for connecting with nature as a means for spiritual growth and healing. This comes through very strongly in her first book, The Light-Worker’s Companion, where she details various nature spirits. I did a ninety minute interview with Amanda for my film. It was wonderful. On several topics she gave me quite a unique viewpoint. Later, she told me that after the interview, she felt a lightness – as though by talking with me she had fulfilled a longstanding contract – an agreement. Amanda has promised to help me with the film, and with my personal growth, in any way she can. She is very generous. She has now done three channellings – two for me, and one with Jennifer and myself. She channelled Saint Germain and Archangel Gabriel. I was given information which I regard as very beneficial. Do you believe this stuff? Do you believe in channelling, and spirits, and Ascended Masters, and angels? Over the past two years filming around the world, I’ve seen things, read things, heard things that simply must have come from other realms. There could be no other way. And remember, I started out a skeptic. I’m currently reading John Steinbeck’s To a God Unknown. I came across this passage yesterday: There are some things won’t stand reason, but are so just the same. Can’t keep up with you…not that I need to…but boy you are crisscrossing on some of the stuff I am pondering…. Gosh I hope this movie is done soon…it’s going to be a mind bender. haha – you should take a look at those books Ingrid, they’re amazing. Oh Bill, I wish that I had been with you and Jen on your visit to Amanda’s place. It sounded like a most remarkable light experience that i would love to have been a part of. 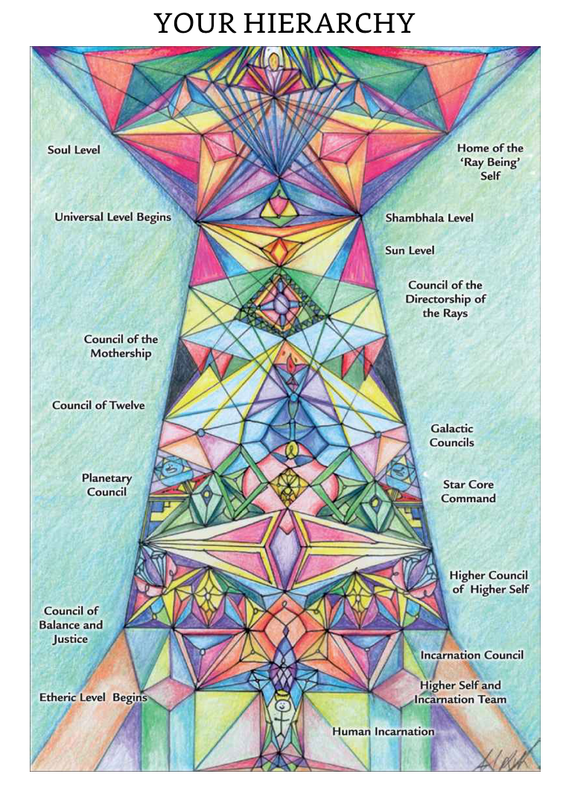 It is so heartening and confirming that there are so many light workers doing their jobs on Earth. Just imagine the big beautiful night if we each held a lighted candle -where ever we are in this world. Thanks Britta – and yes, that sentence that you quoted is pretty neat. If you keep that attitude, that the present is new and exciting and fresh, then it’s a wonderful way to approach life.